Honda offers an incredible five trim levels on the 2017 Honda Civic sedan. Each has features, benefits and equipment that are unique. If you’re currently looking at Civic and want to know what the difference is between all the 2017 Civic trim levels, then read on below as we have broken down each trim level and detailed what you get with each. With many automakers, the base trim level of a vehicle comes rather poorly equipped and lacking in many key features that today’s consumers want and expect in a new car. That is most definitely not the case with the 2017 Honda Civic LX. Yes, the LX does represent the Civic’s lowest cost trim option. Honda has, however, packed this trim with tons of premium features and amenities. It’s got automatic climate control, multi-angle rearview camera system and much more. If you are looking for the absolute best Civic value without sacrificing important features and technology, then the LX trim is your best bet. Think of the EX trim as the “LX Plus” option. You get all the LX features plus the highly popular Apple CarPlay™ and Android Auto™ features when you go with the 2017 Honda Civic EX. There is also a one-touch power moonroof plus remote engine start and smart entry features with this trim. The 2017 Honda Civic EX also comes standard with a CVT (Continuously Variable Transmission) system. Obviously, this trim level is a step up price-wise from the previous LX option, but for the extra features included with it, it’s a tough proposition to pass up. The EX trim level is the perfect choice if you want your new Civic to be a little more loaded up, but still maintain a value-oriented price/monthly payment. The “T” stands for turbocharged. As in, the 2017 Honda Civic EX-T features a 1.5 liter turbocharged engine that delivers 174 horsepower. You also get all the features of the EX trim, plus notable additions like a stylish decklid spoiler, dual zone automatic climate control and heated front seats with the Civic EX-T. This trim levels sits right in the middle of the Civic trim ladder and represents the best of both worlds: lots of high-end features and equipment at a competitive price/monthly payment. In fact, the 2017 Honda Civic EX-T is only priced at approximately $350 more than the 2017 Civic EX. At this point, you’ve entered the luxury zone. The 2017 Honda Civic EX-L includes all the features of the EX-T with the addition of leather trimmed seats, eight-way power driver’s seat, available navigation system and automatic dimming rearview mirror. This is a great option for those Civic buyers and drivers who want a dash of luxury with their mode of transportation. Honda’s CVT system comes standard on the 2017 Civic EX-L along with a ton of other luxury appointments, as well. Now, we’ve reached the crème de la crème of the Civic trim ladder. The 2017 Honda Civic Touring provides all the features of the EX-L trim plus LED headlights with auto on/off, a 450 watt premium audio system and heated front/rear seats. This trim level also includes the Honda Sensing safety suite of technology with features like lane departure warning, lane keeping assist, road departure mitigation, adaptive cruise control, collision mitigation braking system and forward collision warning. Yes, the 2017 Honda Civic Touring does cost more than any other trim level. The amount of luxury features, however, more than makes up for the additional expenditure if you want the absolute best equipment available. Be sure to check out all our new Civic models and trim levels available when you shop Honda inventory on our website. 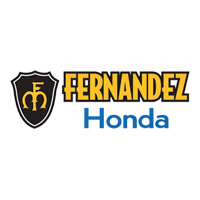 Fernandez Honda can put you into any trim level Civic at a great price or monthly payment. We offer low interest car loans for new and used car buyers in the San Antonio, La Vernia and Universal City areas. Stop by and see us today at our convenient location at 8015 IH 35 S. San Antonio, TX 78224.